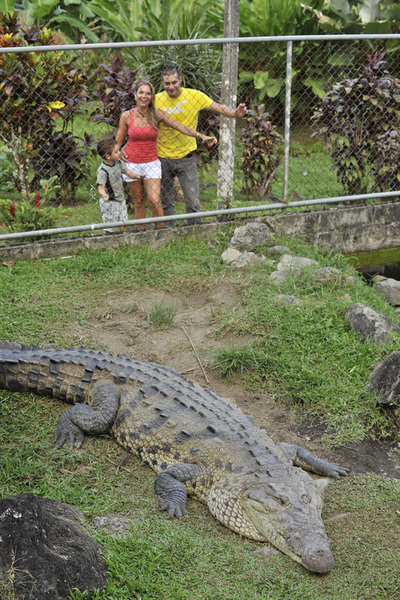 Free Onsite Viewing of Butterflies, crocs, frogs and other nature. 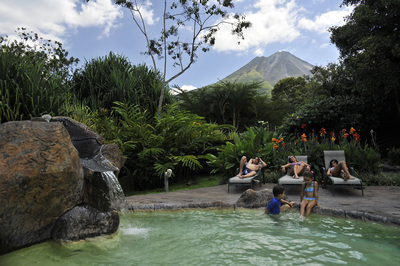 This full featured hot springs resort offers exquisite natural outdoors and gardens to which people, couples or families can go for relaxation, fun and pleasure while you will have an amazing panoramic view of the San Carlos Valley and the Arenal volcano. 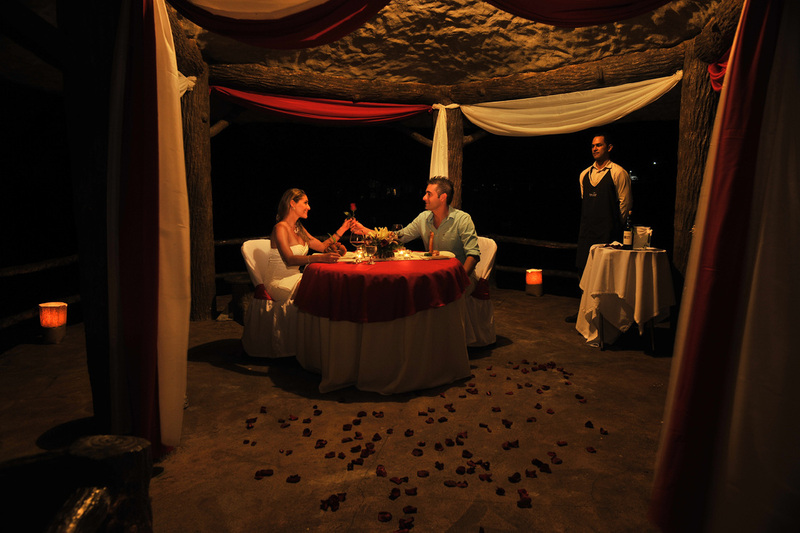 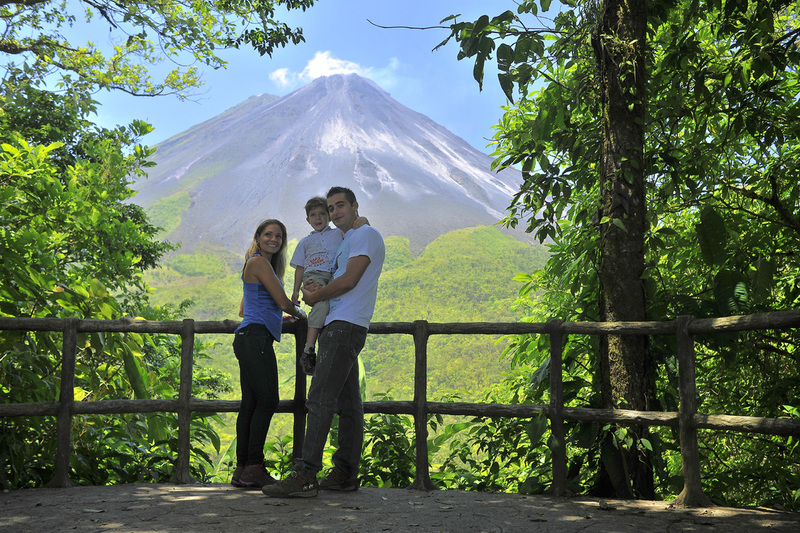 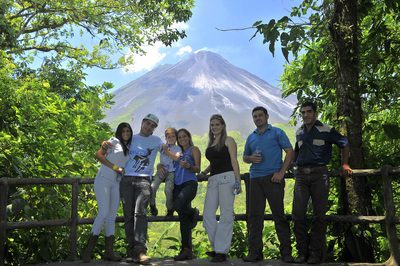 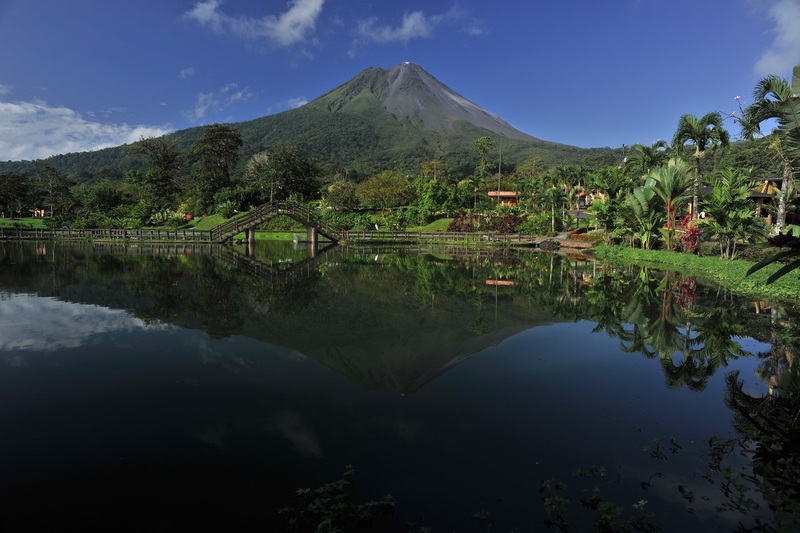 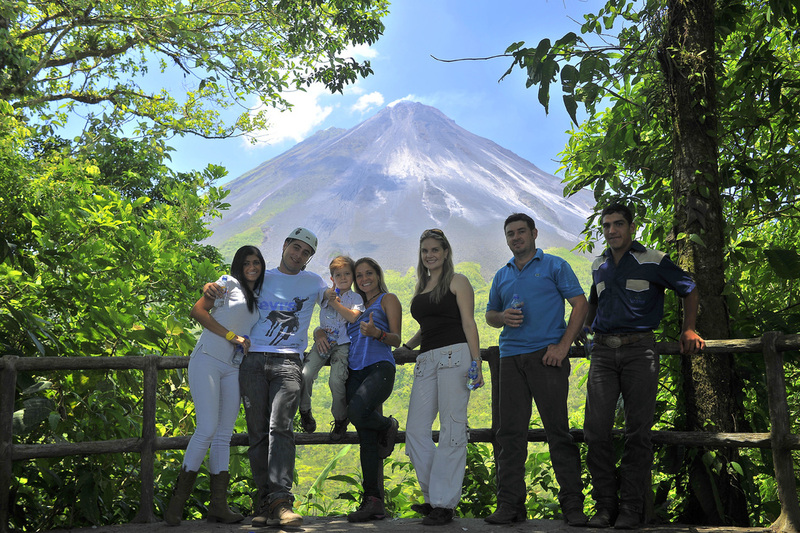 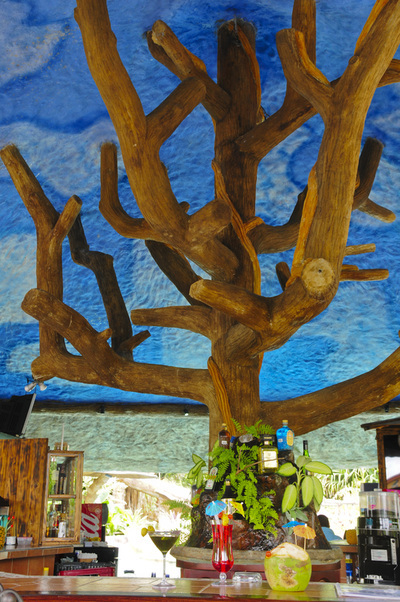 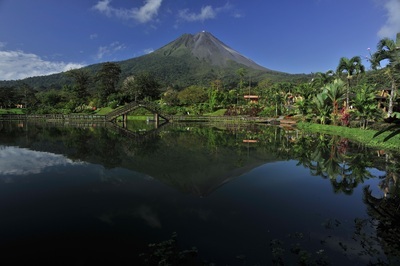 The resort offers all that is needed for an unforgettable experience of Costa Rica at the Arenal volcano area. "This was the first place our family stayed during our Costa Rica trip and when we left we all agreed that it is a hotel resort hard to beat. First of all, much of it is laid out like a village. 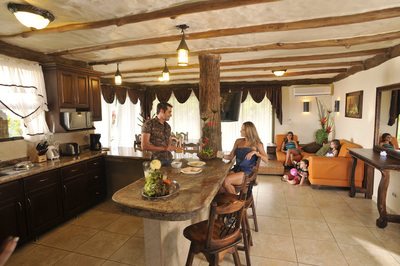 Rooms are spread out across many buildings. 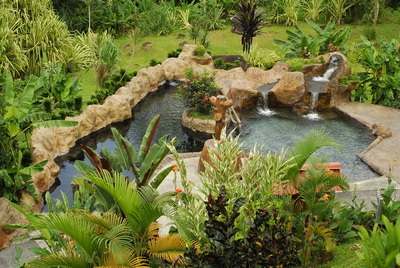 The grounds are gorgeous! 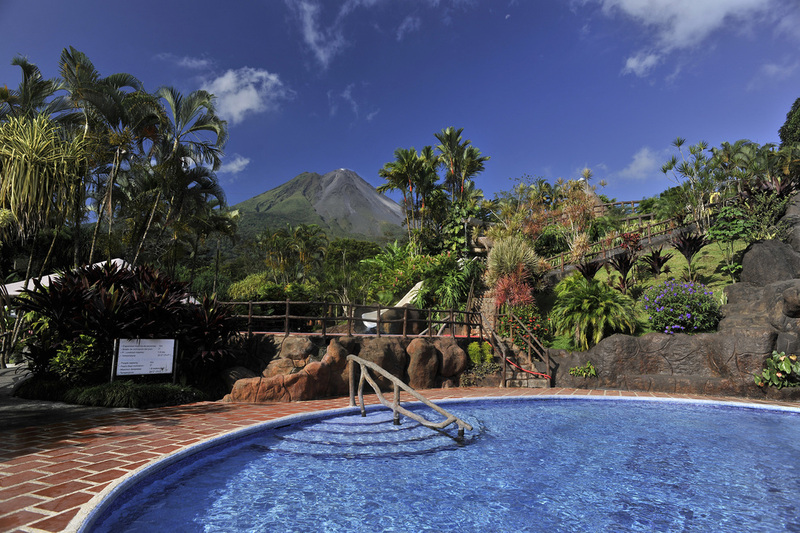 And as long as the weather is good, there is a clear view of Arenal Volcano, very close by, from nearly everywhere in the resort." 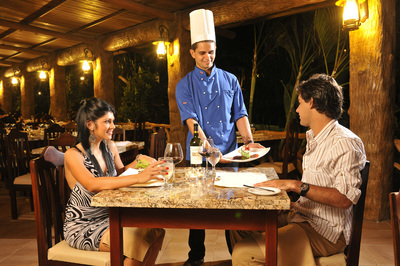 "An excellent choice. 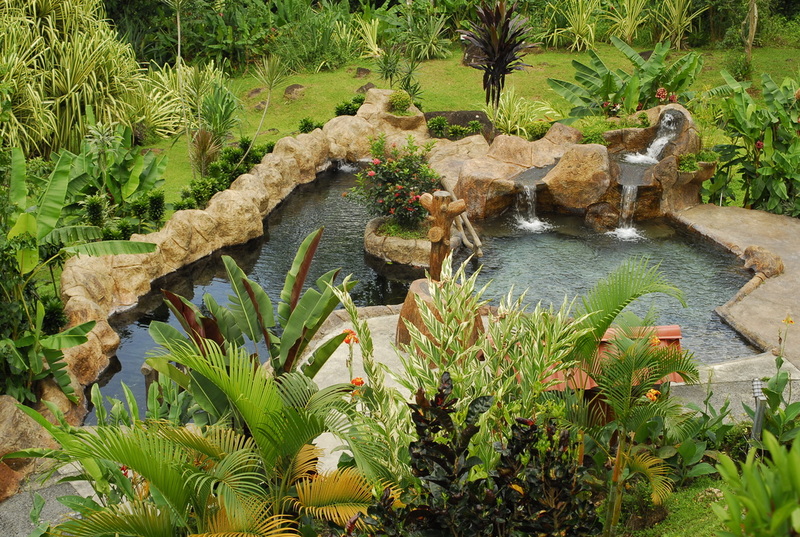 We were impressed by the beautiful well-kept grounds of this spacious and beautiful property. 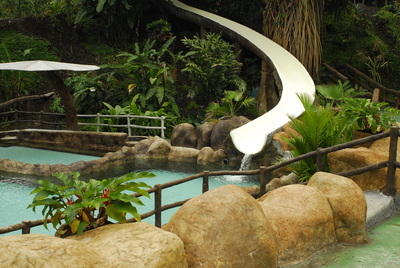 The hot springs water slides brought out the kid inside us. Any child would love this place, too! The restaurant was wonderful for breakfast, lunch and dinner. 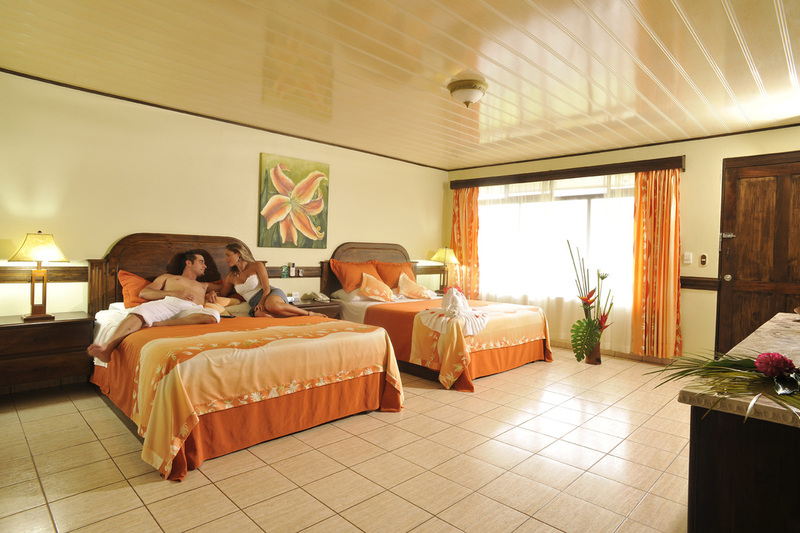 We would certainly return for a future stay." 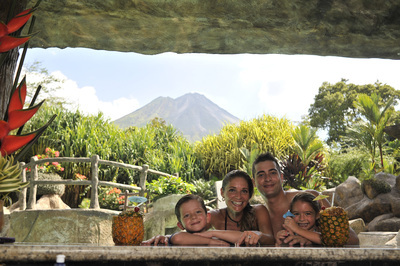 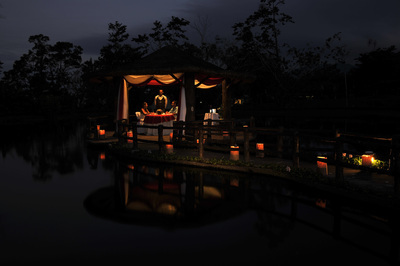 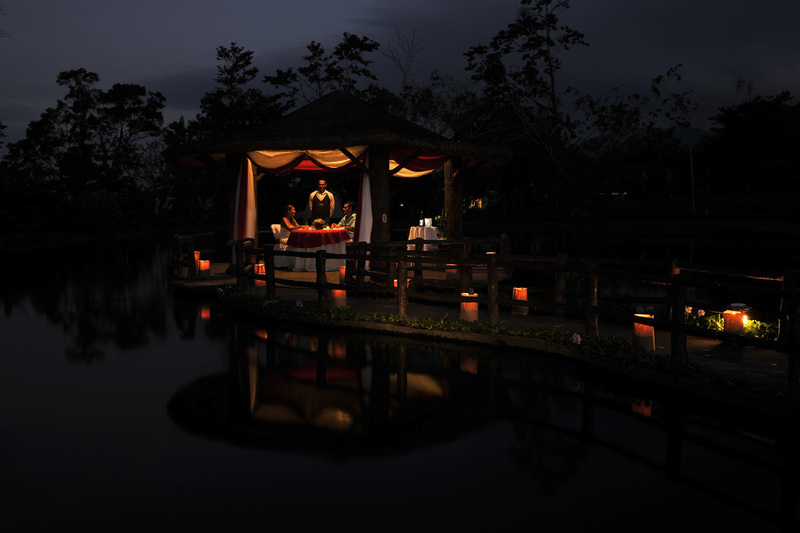 "We had a great time here and are very glad we booked this great resort. Nice clean rooms, big beds, shuttle service to rooms. 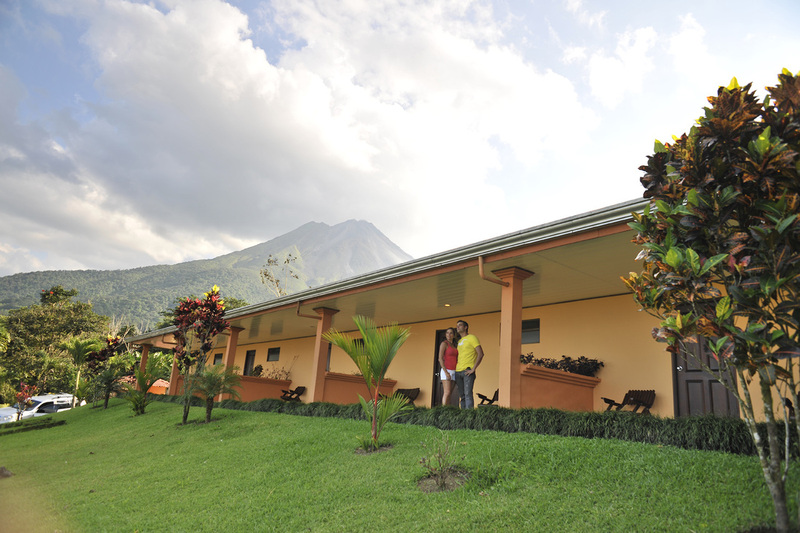 The rooms have an amazing location on top of the hill facing the Volcano out or window/patio. 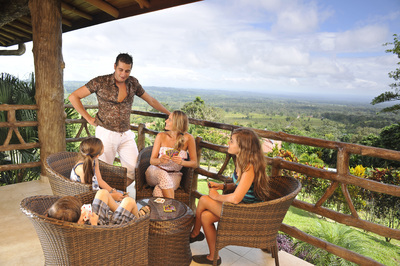 They do provide shuttle service throughout the time of visit which doesn't cost anything. 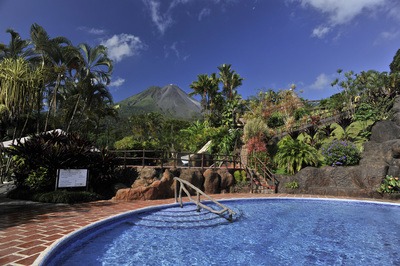 Volcano Views from the hotel were breathtaking. 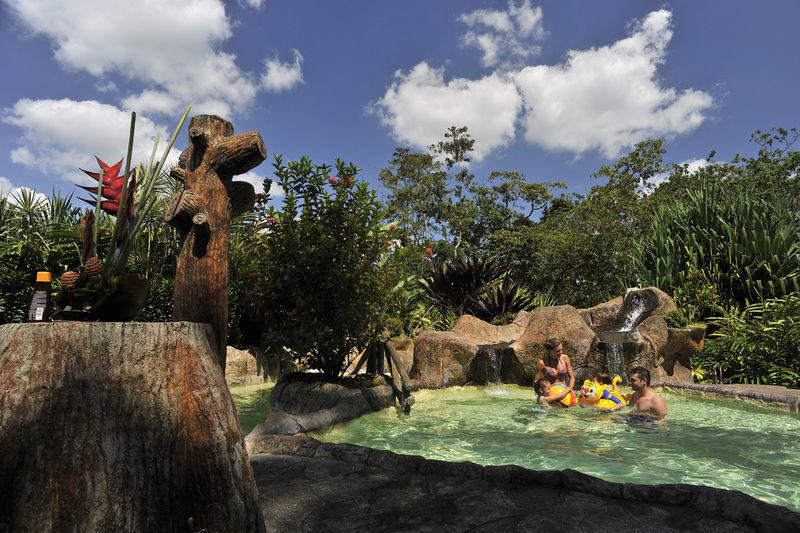 The pools are wonderful and the paths pass through beautiful flora past lizards, frogs, crocs, caimans and a butterfly garden. The restaurant had good lunches and the included buffet breakfast had a great selection"
This beautiful Volcano Resort includes 1,050 acres of tropical forest and wide landscapes, clear, safe and spectacular view to Arenal Volcano, broad tropical gardens with butterflies, frogs, crocodiles and leaf cutter ants. 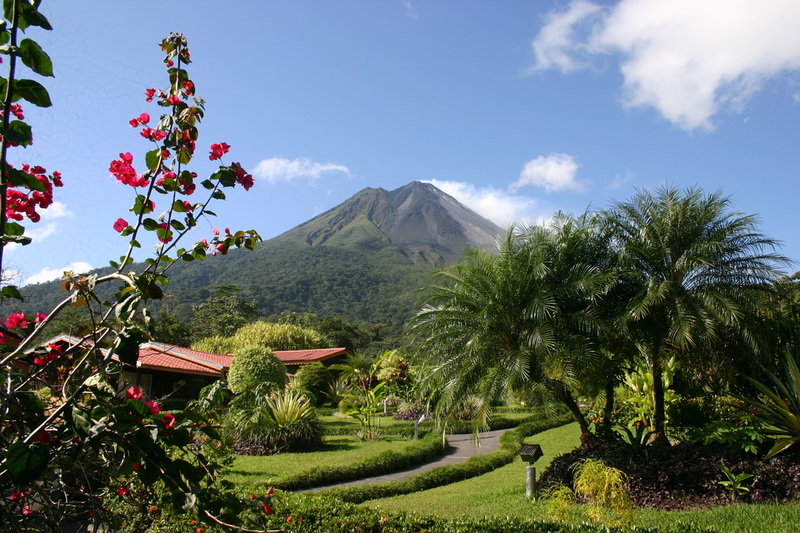 An exclusive resort with a spectacular observation point on the property, other facilities include an exclusive spa and an Arenal Volcano Clay Wrap while facing beautiful primary rain forest and water surroundings. 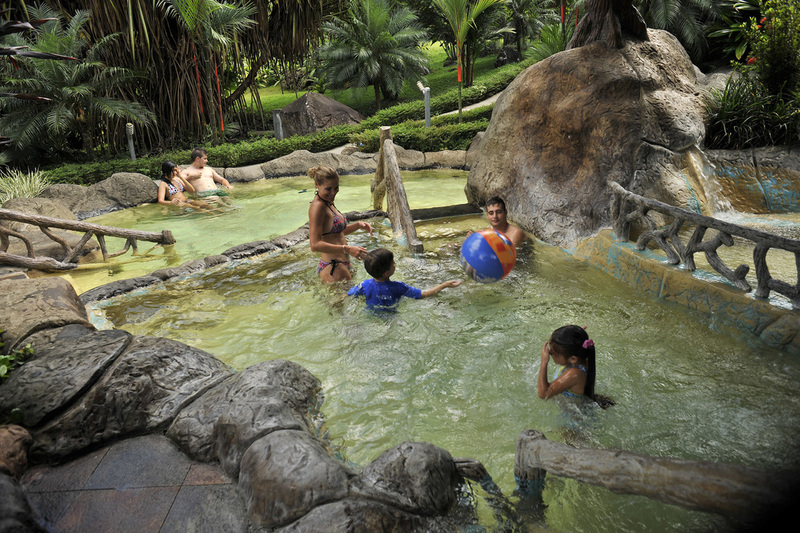 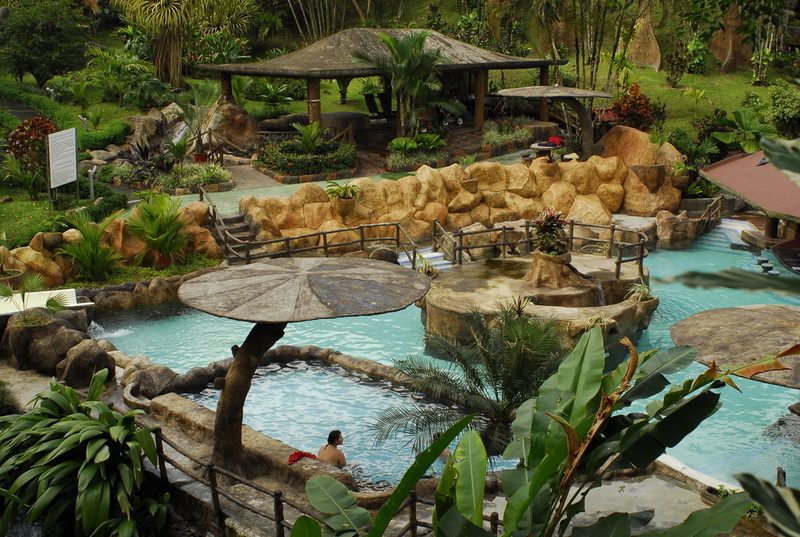 At the resort you can enjoy five natural thermal hot springs pools and four regular regular swimming pools. 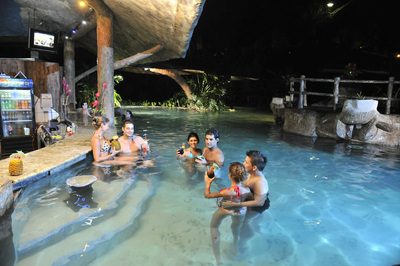 The hotel resort offers almost 100 rooms, a wet bar, international restaurant, souvenir shop, and good free internet.